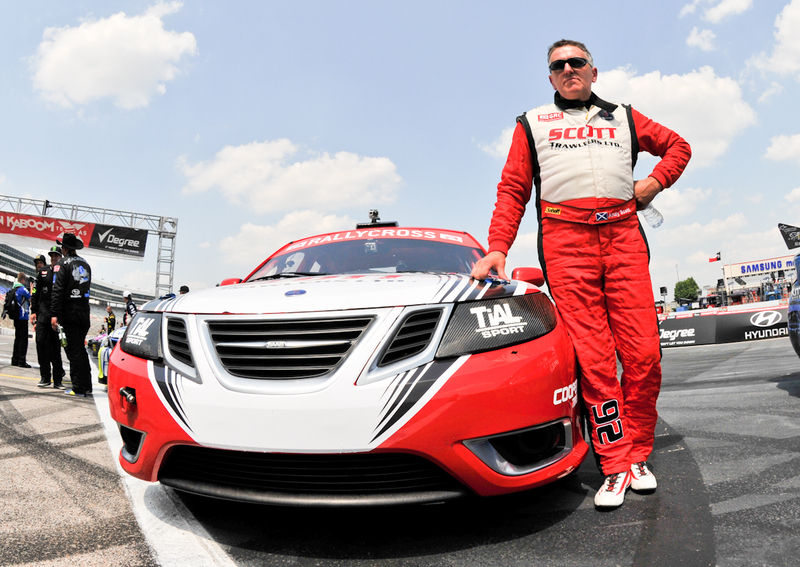 The first two races of this year’s Global Rallycross Championship established Andy Scott as a serious contender for strong finishes and even race wins. 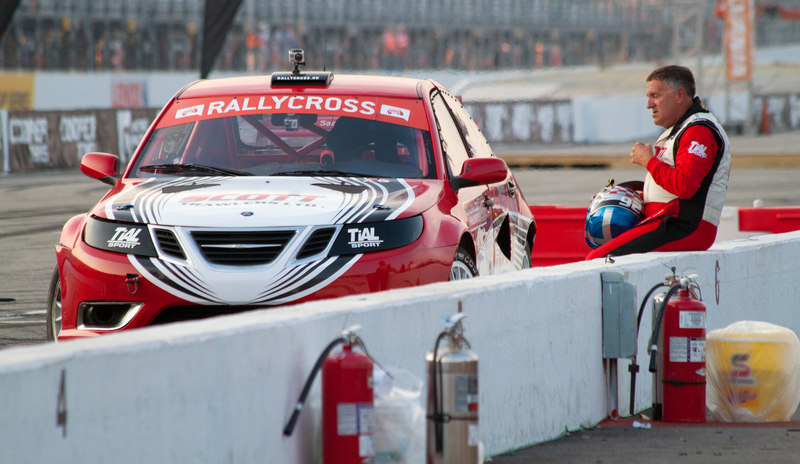 Though the privateer Scott-Eklund Racing Saab 9-3s were some of the largest cars in the field, Scott and teammate Samuel Hubinette had unparalleled straight-line speed thanks to the engineering of Per Eklund. 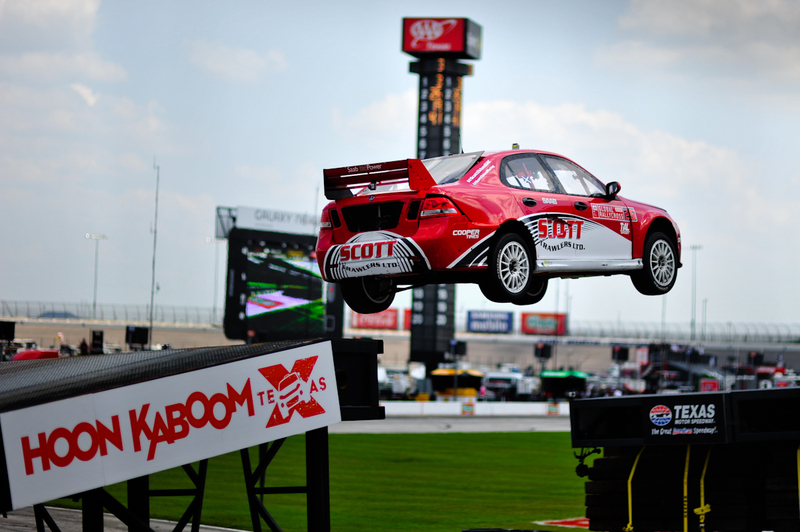 Though many teams brought more funding into the championship, Scott’s experience paid off in a big way with a surprise fourth place finish to open the season at Charlotte. After a second consecutive final appearance at Texas, it was clear that the No. 26 team was prepared in every way to challenge for the GRC title. 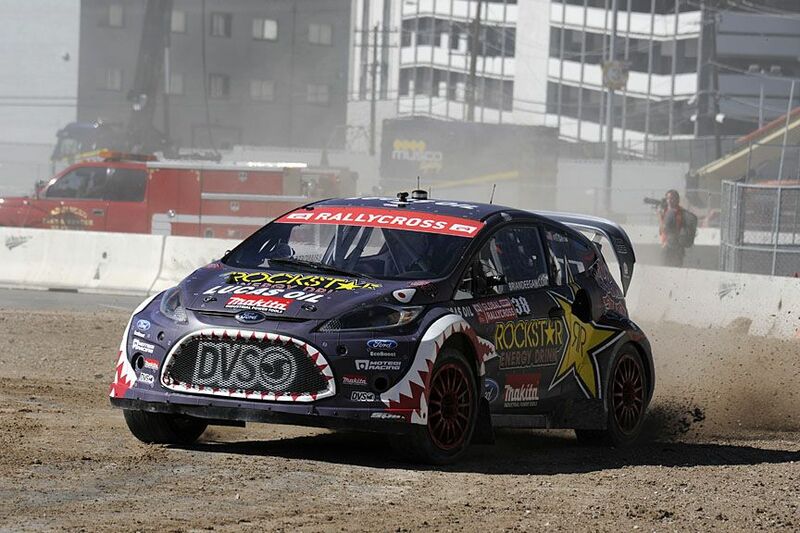 Through four of six rounds, Scott was comfortably in the top 10 before a shift in priorities caused him to finish out the European Rallycross schedule. 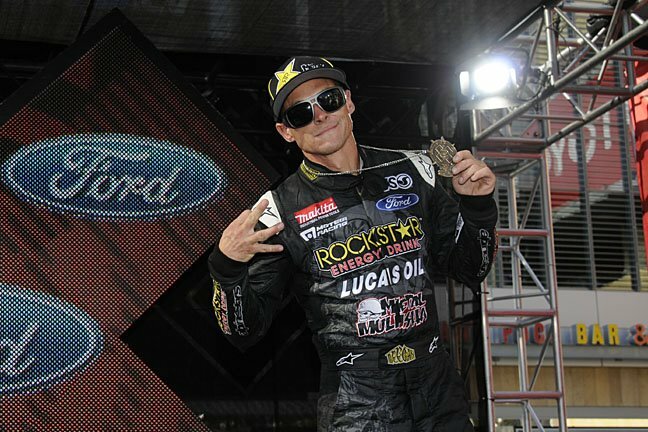 X Games was of course a high profile race weekend for you, although it didn’t end the way you wanted it to after the incident with Travis Pastrana. Did you two ever discuss what happened there? I know we’ve talked about the incident and your point of view before, but have your thoughts changed on it at all? I had a discussion with Travis in New Hampshire before the event there. Travis gave his version of events; obviously he was in front, so he couldn’t have seen what was going on behind. I gave my version of events, and Travis was very professional about it. He took it as a racing incident and that was really it. It was good to talk to Travis and clear the air on the position, but we both left after that discussion and it’s been put to bed. I’ve not really gone back and reconsidered it. You had a rough start at New Hampshire given the contact with Ken Block where it appeared that both of you were going for the same space. But you managed to push through the LCQ and even survived the entire final. How difficult was it to drive the car given that it was disabled? It was really difficult, as the results show—I didn’t have any pace at all, and the only reason I got the finishing position I did, I think, was because of other cars breaking down and not finishing. We managed to get the corner back on the car, but we didn’t have any time to (fix) the geometry or anything. 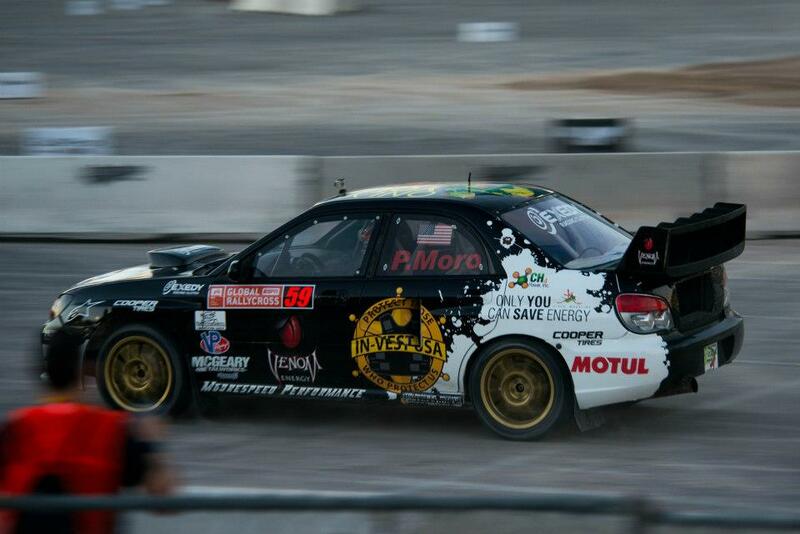 The car was handling like a complete pig, but we’d run out of time, we just had to get back on the circuit. Thankfully, we had four wheels and they were going around. But we had no quality of setup and no handling at all. It made for very interesting driving. 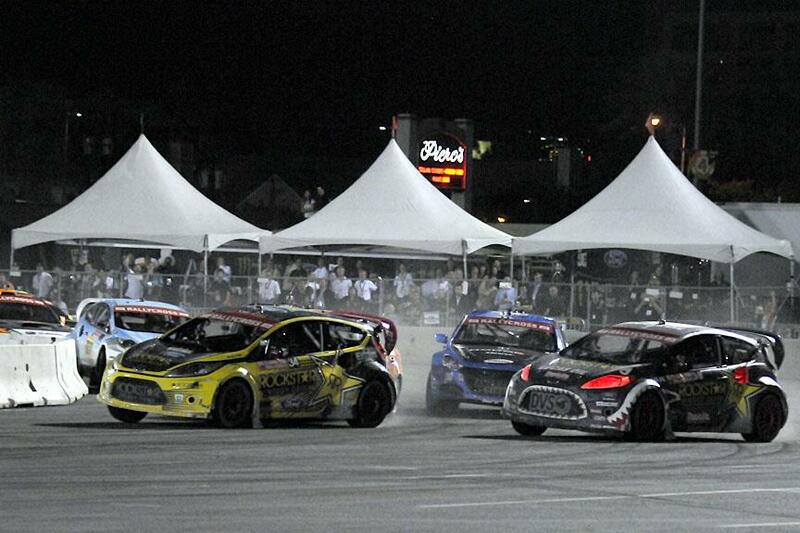 Your focus shifted away from the GRC after the lengthy break in the season. What, if any, context are you able to give us on that decision? I couldn’t get an agreement with Per to run the car for the rest of the season. It broke down at that point. I was disappointed to only have done four of six races, I was really looking forward to finishing the series, but things broke down between myself and Per, so it wasn’t possible to continue. Obviously I’m disappointed because I finished one point outside the top 10 after only having done four races, so I was pretty gutted about that. You came back to the ERC at the end of the year and took a top five in the A Main at Germany. 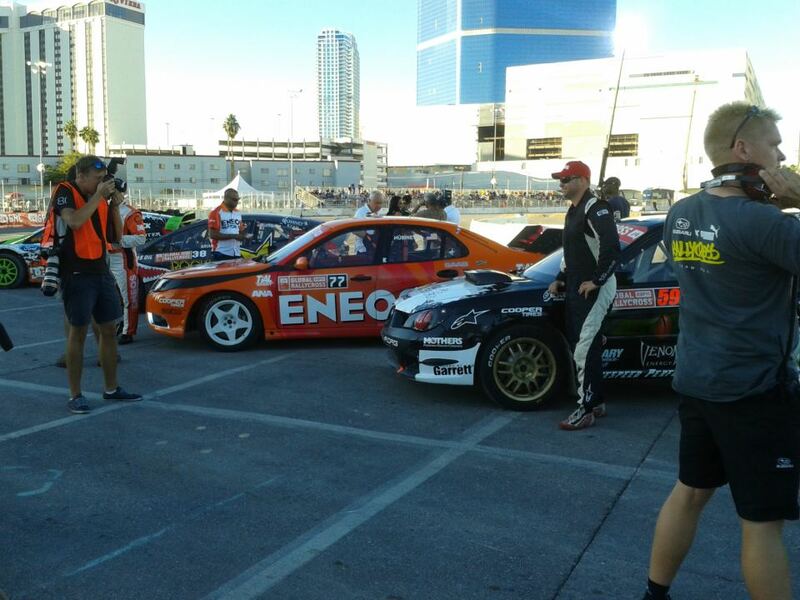 In the end, in two partial schedules, you were one point out of the GRC top 10, as you mentioned, and 14th in the ERC. Are you satisfied with your results overall? I think there are highlights of the season where we’re very happy. It just shows you, you can’t expect to be in the top 10 in two very competitive championships when you don’t complete all the races. I’m happy with the way the year had gone, I’m just upset that we didn’t finish—the intention for the year was to do the full GRC series and then to supplement extra races in ERC when we were home. So the plan did change halfway through the season, which is never good for anybody. 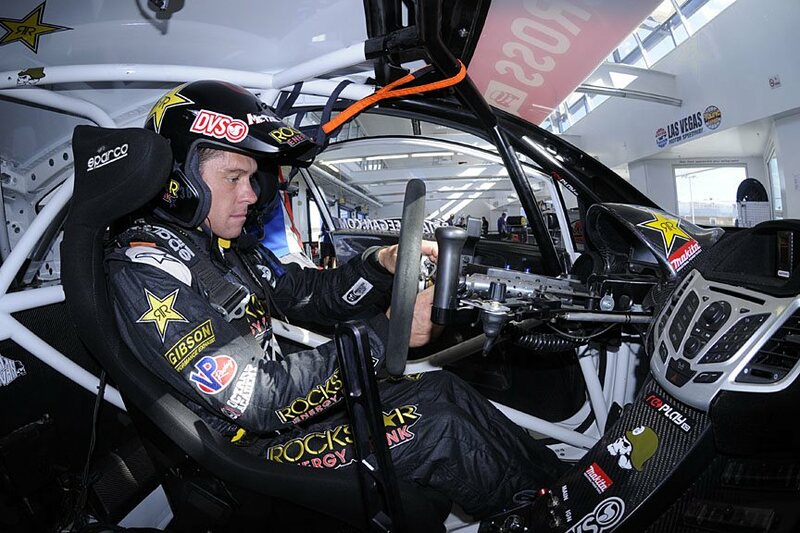 But we’re satisfied with parts of the season, we’re dissatisfied that we didn’t go the distance in GRC. Have you given thought to the 2013 season and where you’d like to be? Yeah. We’ve got a lot of experience gained from 2012 and there’s no closed door at the moment. We’re talking with a lot of different people with all sorts of options, GRC and ERC. 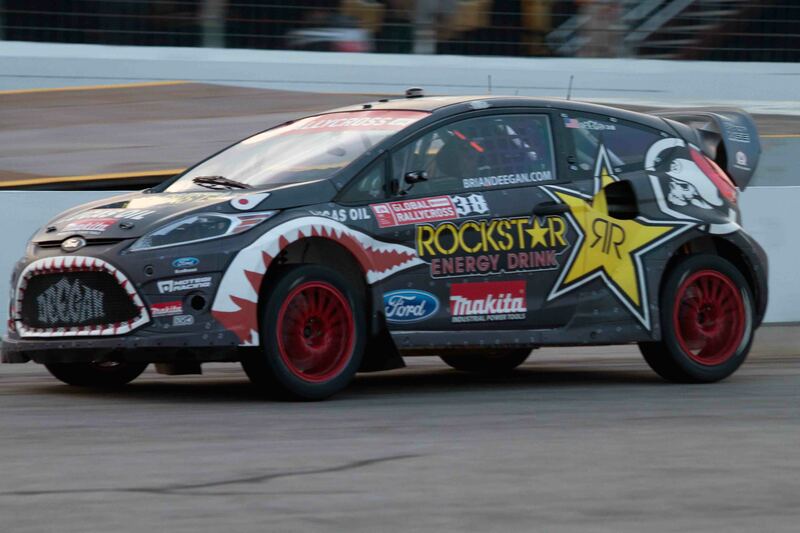 Until we see dates for GRC it’s hard to say whether we could do both championships, but I’m not done with GRC yet. If we can pull the budget and the team together, we’ll be back. But we’re not discounting doing the full ERC series either. It comes down to what partners we can find and how we put it all together. Follow Andy Scott on Twitter at @AndyScottRX and be sure to like his Facebook page. 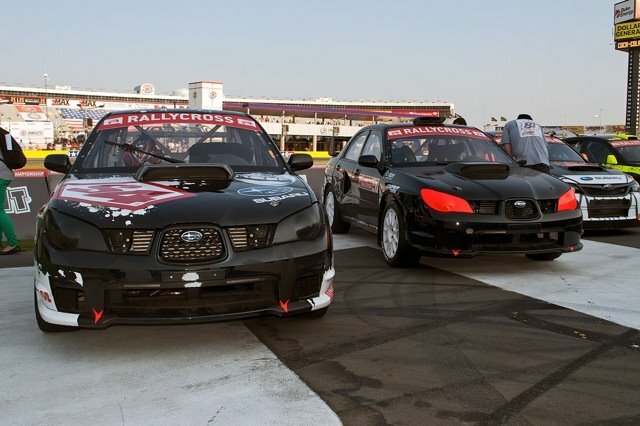 The majority of the teams in this year’s Global Rallycross Championship received a significant amount of factory support, whether from established rallycross brands like Ford, longtime stage rally mainstays like Subaru, or rally newcomers like Dodge. 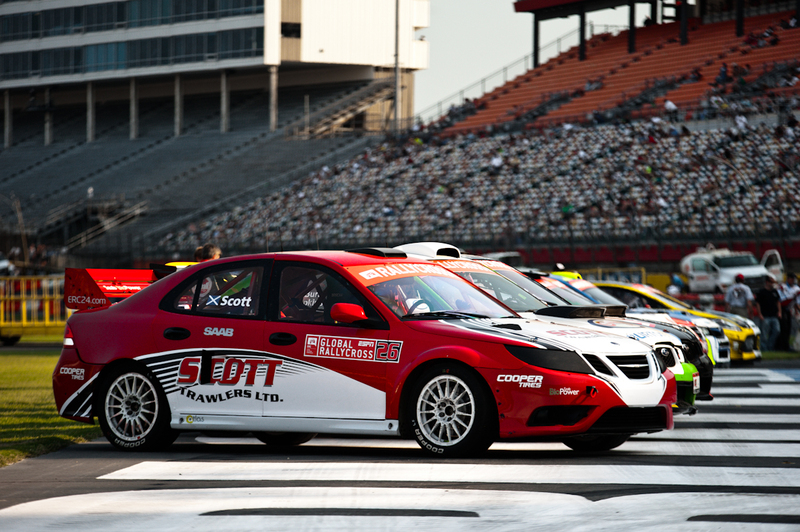 Most of the privateer teams fell by the wayside compared to last season, with one notable exception—GRC newcomers Scott-Eklund Racing, a partnership formed by Swedish rallycross legend Per Eklund and Scottish driver and successful businessman Andy Scott. 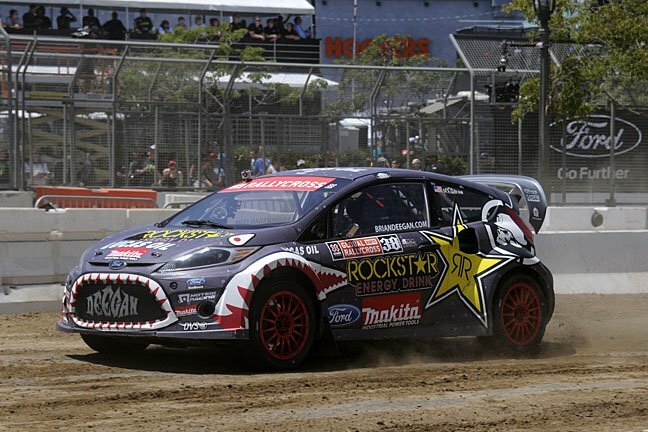 Both had been successful in last year’s European Rallycross Championship, with Eklund’s car ranking sixth in points with driver Toomas Heikkinen and Scott scoring a podium in the Netherlands on the way to 11th in points. 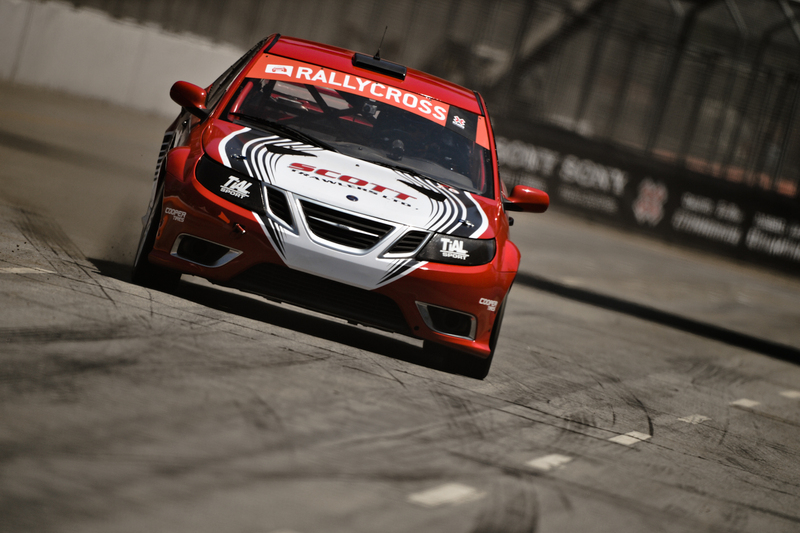 Though the majority of media focus was placed on the many crossover athletes that have come into rallycross, the veteran partnership quietly put together some strong results despite their lack of manufacturer support. In the capable hands of Scott, the No. 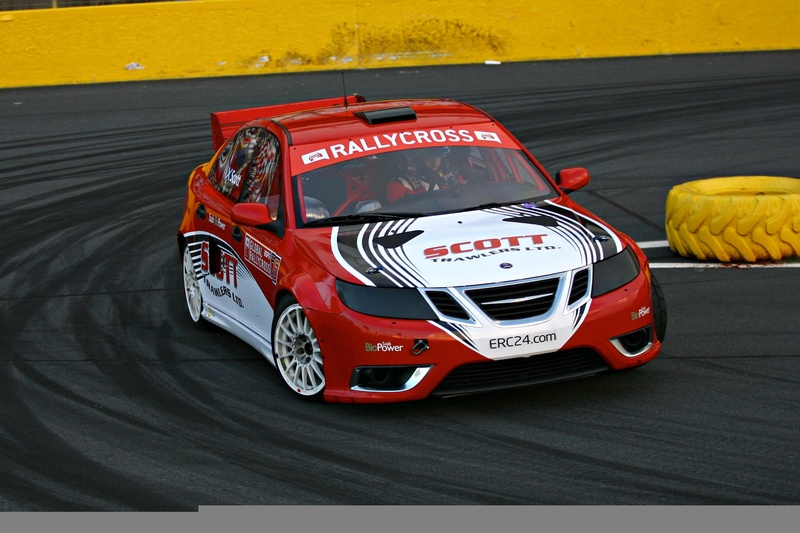 26 Scott Trawlers Saab 9-3 showed incredible speed and competitiveness, winning the last chance qualifier in Charlotte and scoring a fourth place finish to open the season. 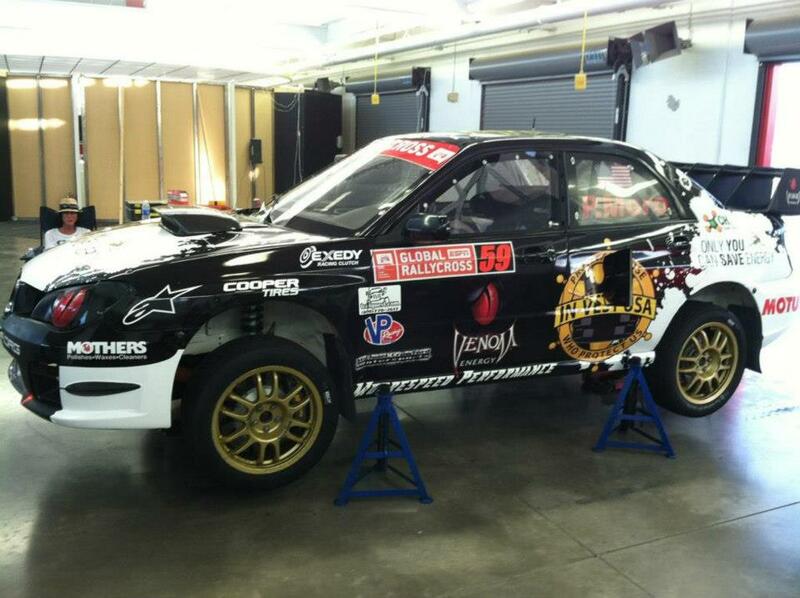 After a decent season in the ERC last year, you chose to shift your focus to the GRC this season. Obviously there are some stylistic differences in what we’ve put together in American rallycross, but did you enjoy your four rounds in the series? Yeah, for sure. It’s a fantastic experience to come over and race in (America), and I think the series has some real great potential. Obviously the circuit that’s made in one hour is a totally different experience than what we’re used to in Europe, with the permanent circuit, and that’s where the main difference comes. You don’t get a lot of car time to get set up at each venue, and you’re (quickly) qualified, into the heats, the last chance qualifier, and the final. Entering Charlotte, you appeared to do a good bit of testing work with the 9-3, although it was an older model car without factory support. What were your expectations for how competitive the car was going to be? Did it exceed those expectations? I was always confident that the car would be competitive. The car had been competitive in Europe, and we made good developments when we brought it over to the US. The unknown quantity was where our competitors laid. But I think it matched the expectations, as we could see with my teammate—Samuel (Hubinette) had some great results as well. I think that, considering our cars were old models and we didn’t have factory support, that the team put together a really good effort there. We saw you make a great pass for the lead and win in the last chance qualifier at Charlotte, and then you finished fourth in the final. How significant was it for the team to have those sort of results right out of the box? That was really important. Obviously we’d sunk a lot of resources in coming across to the US, and Charlotte, when we eventually got there, because as you know the schedule was changed a good few times. It was our first chance to see the pace of the rest of the teams. And we had two cars, right off the sharp end there in Charlotte. It was a fantastic first event for us and I don’t think we could really ask for much more. During one attempt at the main event at Texas, you had an incident after the jump that caused a red flag and ended your event. Was there any warning before the landing that there might have been something wrong? We had several things going on in that race. The damage that eventually put me out, I had no warning of. The jump, the landing was pretty clean, but we had a front suspension failure. 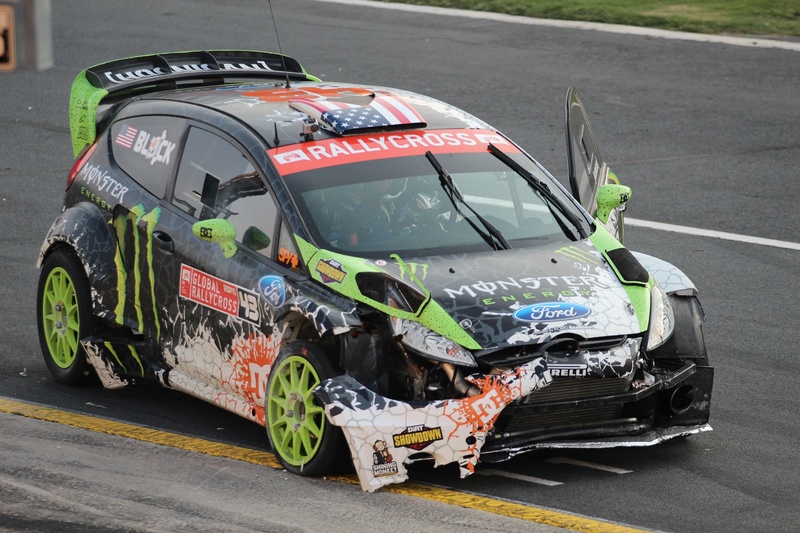 It was just obviously a new level of stress on the car that we hadn’t experienced in European rallycross, and it did catch the team unawares. After Texas, we did look at that part and changed it a little bit. We had other issues going on, but none of them were going to stop us from running. It was the suspension failure off of the landing on the ramp that caused the problem. 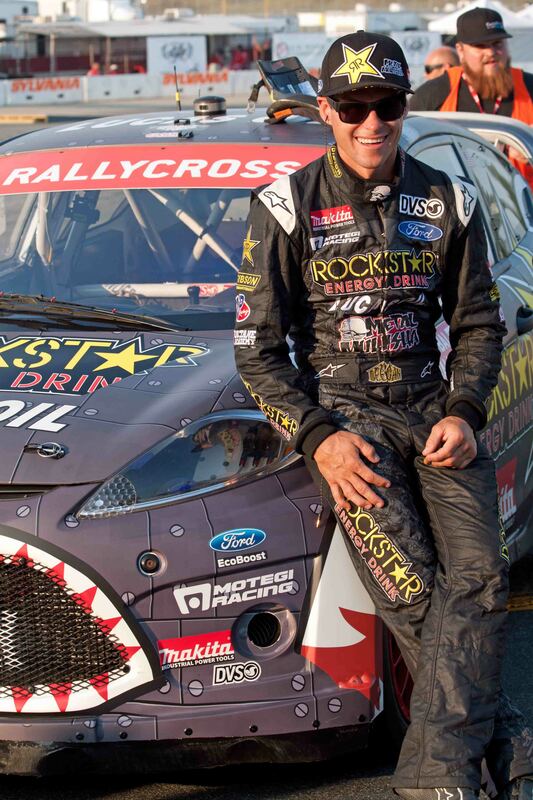 Coming up in part two, Scott discusses his incident at X Games, taking a disabled car to a sixth place finish in New Hampshire, and his overall assessment of his split 2012 season between the GRC and ERC. 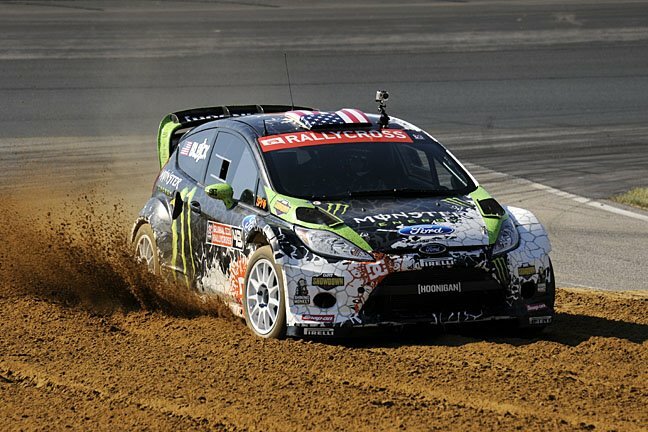 After a second place finish at X Games, the Monster World Rally Team, with driver Ken Block and lead engineer Ian Davies, appeared to be ready to challenge for wins and re-enter the championship race. With three races to go and a drop event available, the goal was to keep making it to main events and scoring enough strong finishes to keep climbing in the points. But it wasn’t easy. Block had to overcome two major accidents at New Hampshire on the way to a fifth place finish there, with Davies leading the MWRT crew in a pair of extensive repair sessions. In one case, the crew had seven minutes to get the car on the grid to make it into the last chance qualifier. 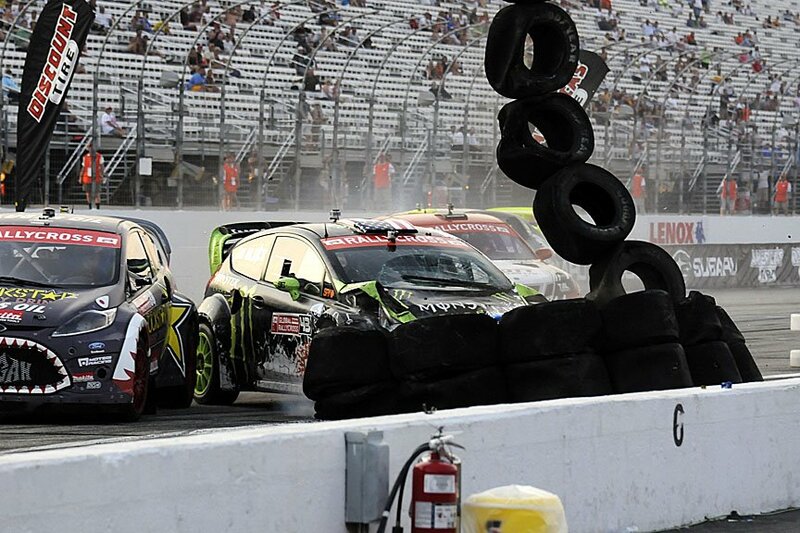 Tell us about the repair jobs that the team did after the two accidents in New Hampshire. How significant was the damage after rolling in qualifying, and how extensive was the damage after Ken hit the tires in the heat race? Going on to New Hampshire, we had a bit of bad luck where Ken was off the side in the braking on that tight hairpin that was wooden, and he rolled the car off the side. And I think that puts a team on a back foot—we worked all night to fix that car to get it back out the following day. (In the heat) he got sort of forced in, or there was nowhere to go, he ended up in the tires with a broken front windscreen, a broken hood, a whole lot of damage then, and again, we were up against it. I remember we had seven minutes to get the car back on the grid for the LCQ. And the car had no fenders, no front bumper, no hood, no windshield, and seven minutes later, that car was on the grid. I remember one of the Finnish guys, Henrik, one of my mechanics, inside the car in Ken’s seat kicking out the windscreen as we were all trying to cut it out. But seven minutes later, we put him on the grid, and we got fifth place and some good points for that. One of the things you’ve said before is that every tenth of a second really counts in qualifying. You had one of the fastest cars on track and were one of only two teams to win all three of your heat races. How important is it to “make your own luck,” as you’ve said, on the way to the final? It’s just massively important. Every race you do from the time you start seeding is important, because the seeding is only the start of it. It then gives you seeding for the next heat and the next heat, and as long as you keep winning, you get that choice of being in that good position, and getting away is important. We’re sort of a believer that first or fifth is the place to be. 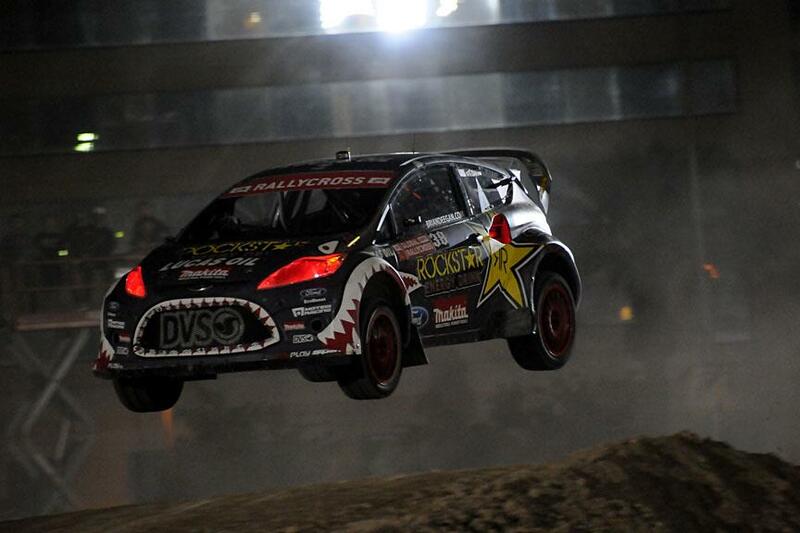 To say that we started in fifth place at X Games, behind Sebastien Loeb. And that pole sitter is always going to get away. So depending on how tight the first turn is, or how much room there is going into the first turn, fifth is never a bad place to be, because you know the pole guy, the quickest man out there, is going to get away. In the first Vegas race, we just had a slight gear change issue which cost Ken a couple of tenths and put us second and not on pole. 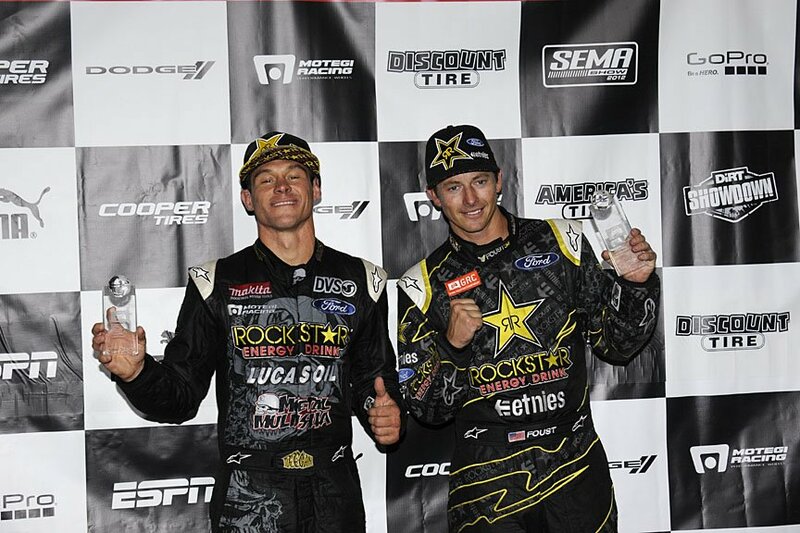 Again, we knew from there that we’d made a big improvement over the summer, and that we could stay with Tanner (Foust). And luckily, we were able to prove that again at the SEMA race, that we were able to out-qualify Tanner to get that pole position. Given the bad luck that the team had early in the season—the “plane crash” as you called it at Charlotte, the two accidents at New Hampshire, and so on—do you consider fifth place an acceptable championship result? I think we should have been third. 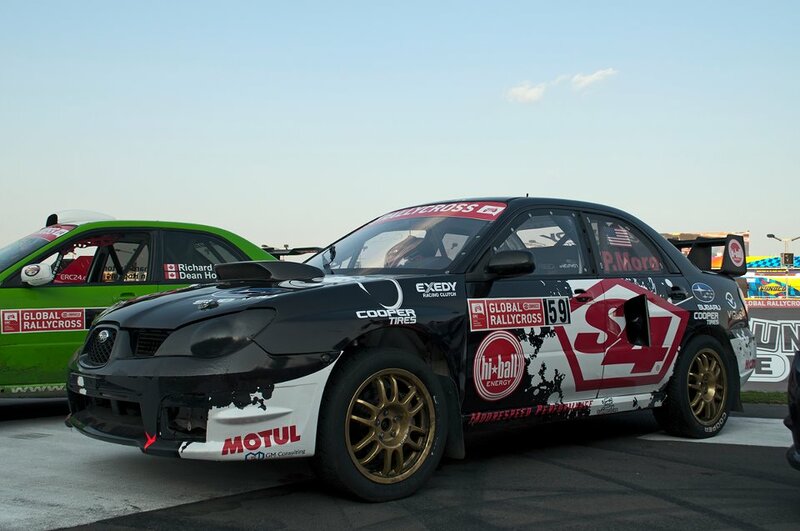 All we had to do was beat (Samuel) Hübinette in SEMA to have gotten the points to have third in the championship. I think that would have been acceptable given the bad break. 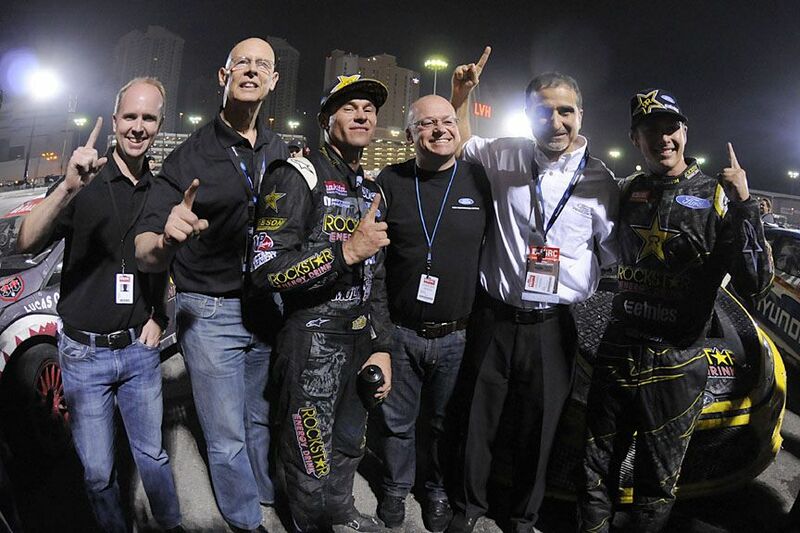 I think that SEMA was particularly hard to stomach because it also cost us that podium place in the championship. SEMA was a bitter pill, I think, for Ken and the team because again, we’d been doing so well. But you have to learn the lessons and move on. So we’re coming back next year, and we’re not coming back to make the numbers up, you know? We’re coming back to win the championship. That’s what we intended to do this year, it didn’t go our way, I think we’ve learned a lot, and we will come back next year stronger with an aim to be GRC champions. 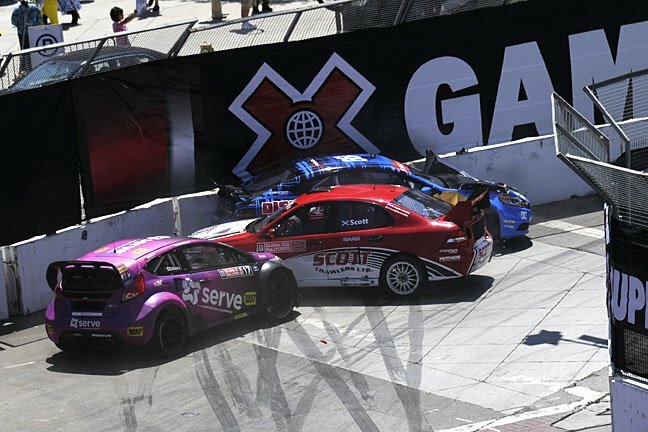 After competing in a full season of GRC events, what are your thoughts on the format of the racing, the jump, and the way that the series runs its events as far as safety is concerned? I think the jump is very controversial, (but) if you have no jump, and not a decent gravel section, it becomes a straightforward circuit race. If we’re not careful, it becomes like Charlotte, a 600-horsepower touring car race. I like the jump, I think the jump is good. There’s always going to be a safety question over the jump, and I think they’ve made big improvements this year. We’ve seen a couple of jumps by the privateer guys who have not been so clever in the past couple of races. Fortunately they’ve walked away with not a lot of life-threatening injuries. I know Richard (Burton)’s got some problems with his back but I’m sure that Richard will be back. I think you treat the jump with respect. I think there’s a speed and we all know the speed. It’s one of those things that we don’t keep to ourselves—all the teams speak to each other. We’re now allowed speedo(meter)s in the car. I think one of the early problems was that the drivers didn’t have any idea of how fast they were going over the jumps, because speedometers were not allowed as part of the regulations for rallycross. Those regulations were changed in order to give us speedos, so that’s made it safer for 90% of the grid, they now actually know what speed they’re going over. The sweet spot is between 47 and 52 (miles per hour). I think both of the Subarus that we’ve seen crash recently would admit that they’ve missed gears or had problems going up the jump. And I don’t really know how you can make it any safer for those people. I think there’s always likely to be accidents off of the jump. But it’s at 47 miles per hour, it’s not at 147 miles per hour. 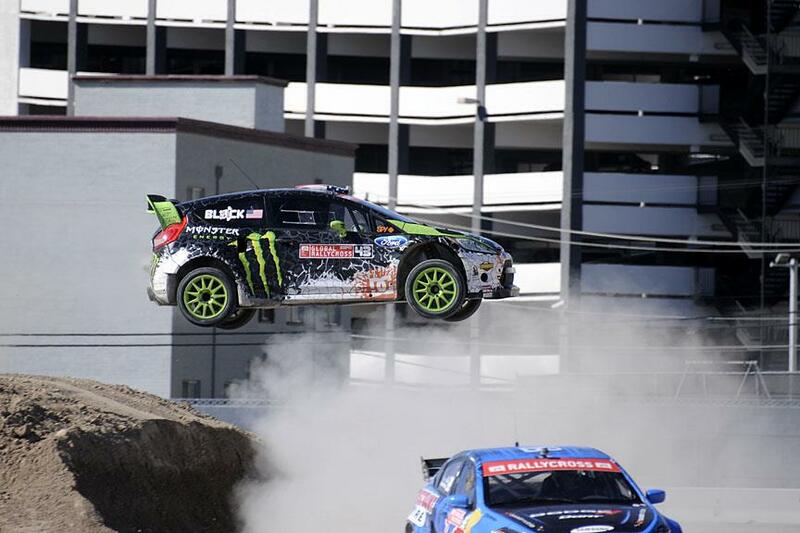 I think the one that (Toomas Heikkinen) had in X Games was particularly nasty, but now they’ve put more shock-absorbent material on those, and the drivers seem to know that if they’re not going to make it, they go sideways over and land in the bottom. 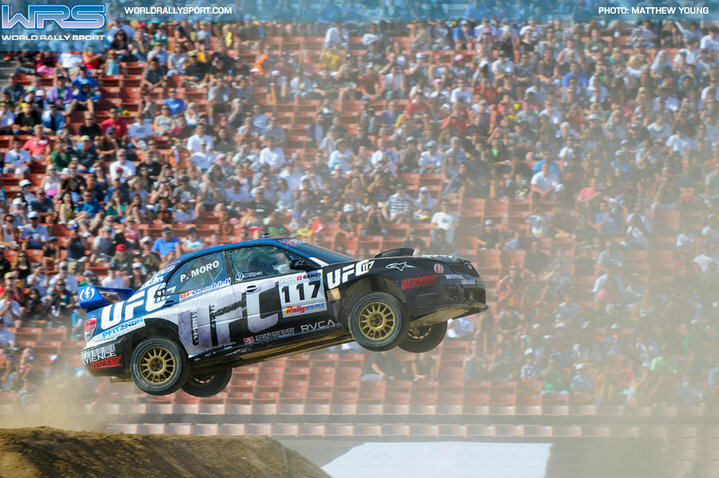 So I think the jump should stay, because it’s the one thing that Global Rallycross has that no other event as far as cars go has. 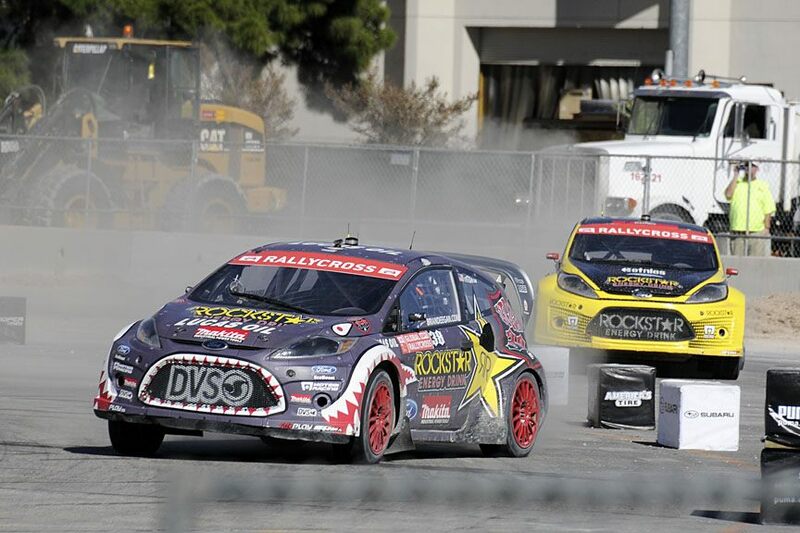 As Global Rallycross has grown, they now can see from designing their tracks and the drivers walking the tracks, where there are areas that people aren’t happy around. I think going with the NASCAR safety teams and the fire people has been excellent. One of the good things about not having standalone events and being part of NASCAR or IndyCar is that those medical facilities are there at those big race circuits. Ian Davies can be found on Twitter @I_a_n_Davies. He also maintains a Facebook page. 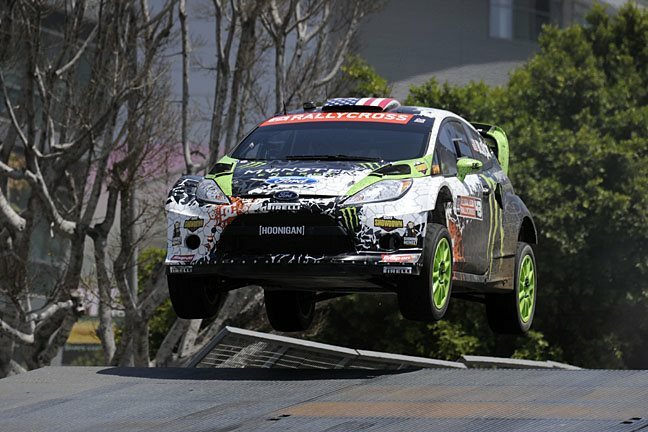 Follow Ken Block and the Monster World Rally Team at @kblock43 and @MWRT. 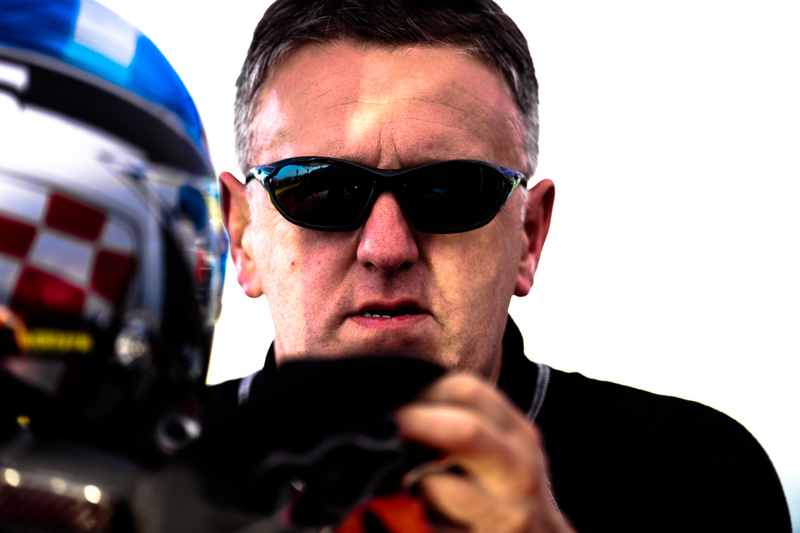 Any successful racing team requires much more than simply a skilled driver. Behind that driver, there needs to be a skilled crew of mechanics and engineers, tasked with maintaining and improving upon what should already be an incredibly fast car. 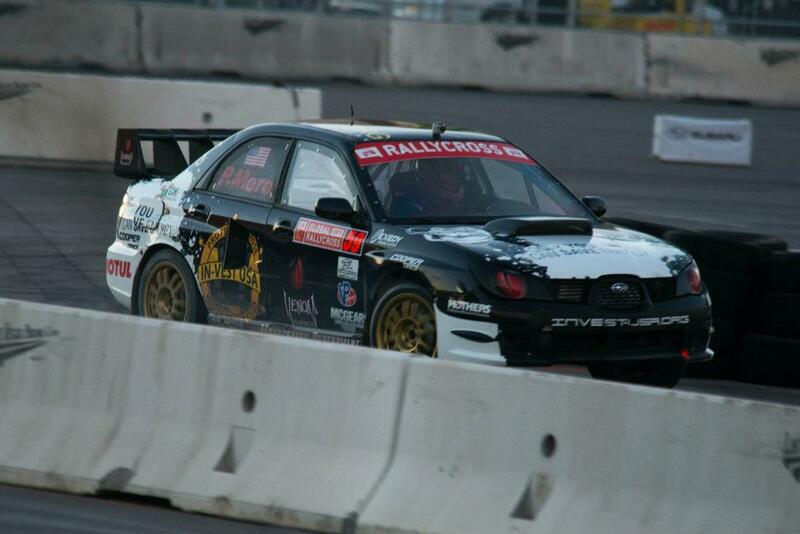 For Ken Block and the Monster World Rally Team, the leader of that group is Ian Davies. Davies built the No. 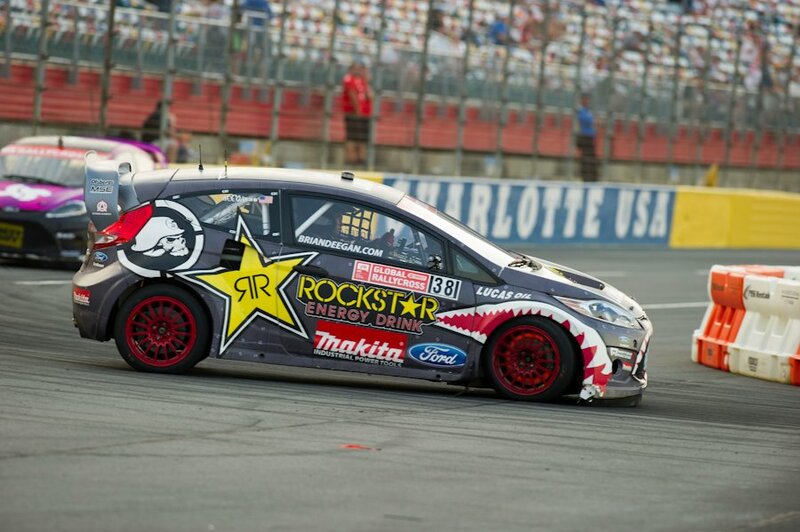 43 Ford Fiesta HFHV that Block uses in various stage rallies, gymkhana events, and the Global Rallycross Championship. 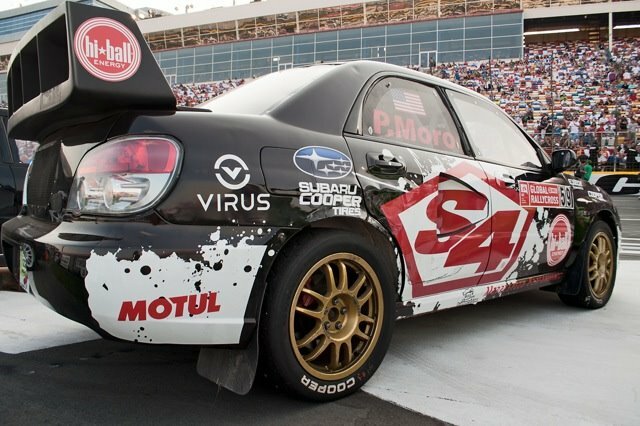 He and his crew have backed Block to numerous successes this year, including wins in all three North American rallies at which they competed. t’s safe to say that Charlotte wasn’t the optimal start for the GRC season, as Ken had a massive accident that necessitated some quick repairs by you and the crew. How extensive was that damage and what weren’t you able to repair successfully? It was known in the team as the “plane crash,” because our attempt to repair it afterwards looked like there’d been some sort of plane crash. But we’re rally guys, I’ve said it before, we’ll always try to get the car back out. I remember from there we changed the rear cross membrane, put a complete back end into the car, and we put a front right hand corner in the car, driveshaft, upright shock absorber, we put an intercooler in it. We put a massive amount of stuff (because of the) front and rear impact together, especially the front right hand corner. And we tried to get it to go back out, but there was some further damage to the inlet throttle butterfly. Ken got the car back out again and running, but the throttle was sticking open, so it was just too much in the time that we had. Texas ended with another disappointing finish, although this time you at least made it into the main event. At that point, did the bad breaks of the first two races start to wear on the team, or did you think that your luck was due to change? I think you make your own luck. I’m always a big believer in that you make your own luck. We always knew it was going to be a learning curve. I didn’t realize it was going to be quite as steep as it was. 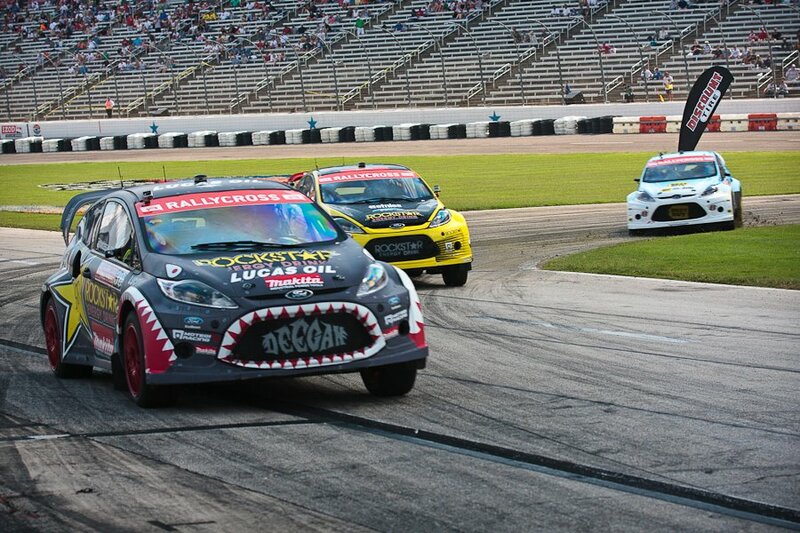 One of the biggest lessons in rallycross has been this year, that you get out in front and you stay out in front, because if you can qualify and get your car on the front row of the grid, then a lot of this contact that happens in the middle of the field, you avoid. And that’s what Marcus Gronholm was so good at in those first few races. He did less laps than anybody else, he saved his tires, he got out in front and he stayed in front. And I think that was a valuable lesson that we learned in those early days—you don’t want to be mixing with some of those people in the back of the grid. It’s the people that have got nothing to lose that frighten you. Because if they come off worse in some sort of a punting match and somebody ends up on the side, they’re not chasing the points and the championship, they don’t have a lot to lose. Whereas, the top three or four guys, generally speaking, are a little bit more cautious because they’re after the points. 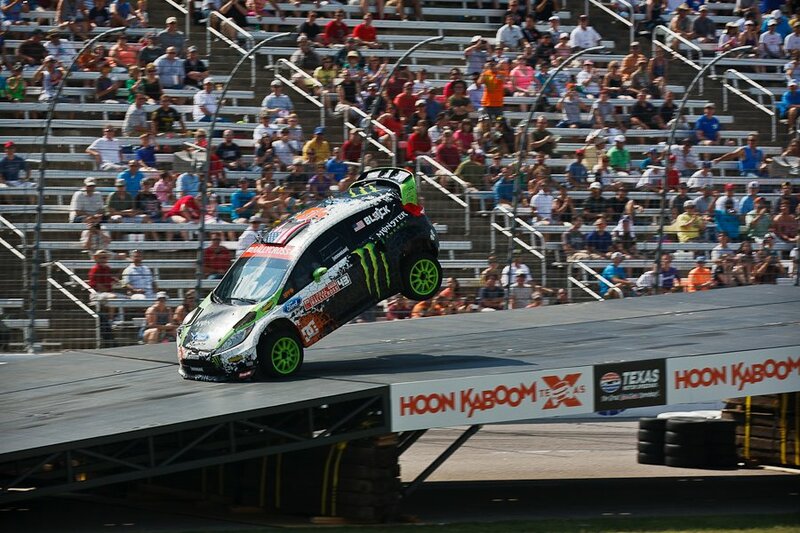 Things finally turned around at X Games when Ken scored a second place finish on only three wheels. You’ve worked with many great drivers over your career, won a lot of events, and seen many great drives. How does what Ken did compare to some of the other victories you’ve been a part of? Ken was second to the greatest rally driver the world will ever see. Sebastien Loeb has been a nemesis of mine for many, many years, obviously him being a Citroen man and me having worked for Ford since 1997. But you have to admire (him), he’s just an outstanding man. And whether he’s doing Porsche Cup in France, where he’s putting the car on pole and he’s winning, or he’s doing rally, a man to be respected. 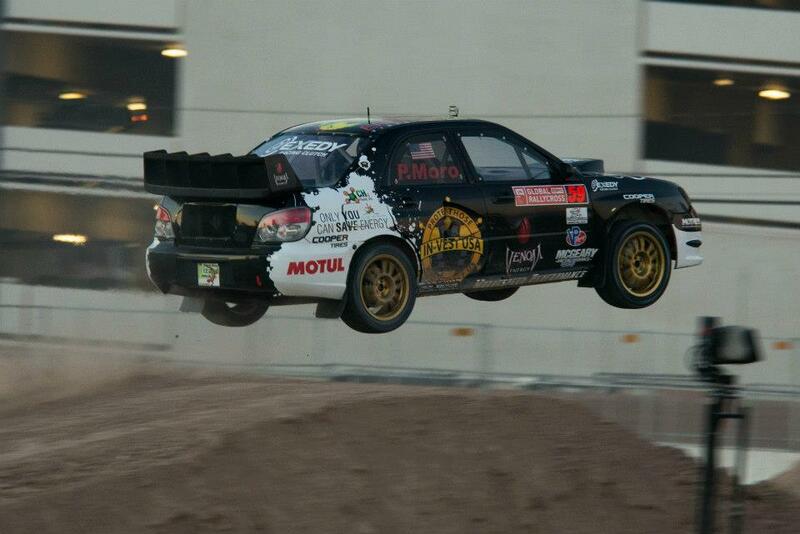 So we like to say that we won the X Games, because actually, Sebastien Loeb, nobody was ever going to beat him. We were the best of the rest! It was a fantastic drive. That track—not to take anything away from Ken, it was a fantastic drive from Ken—was very similar to the SEMA track, in terms of that we have gravel and we have streets as opposed to the banked oval circuit. And a sizable amount of gravel, which, again, suits our car. We had a good weekend. And I have to say, after X Games, we were (saying) “maybe this is it. Maybe our season has changed.” I think you’ll see that there was a big improvement in the team after then. 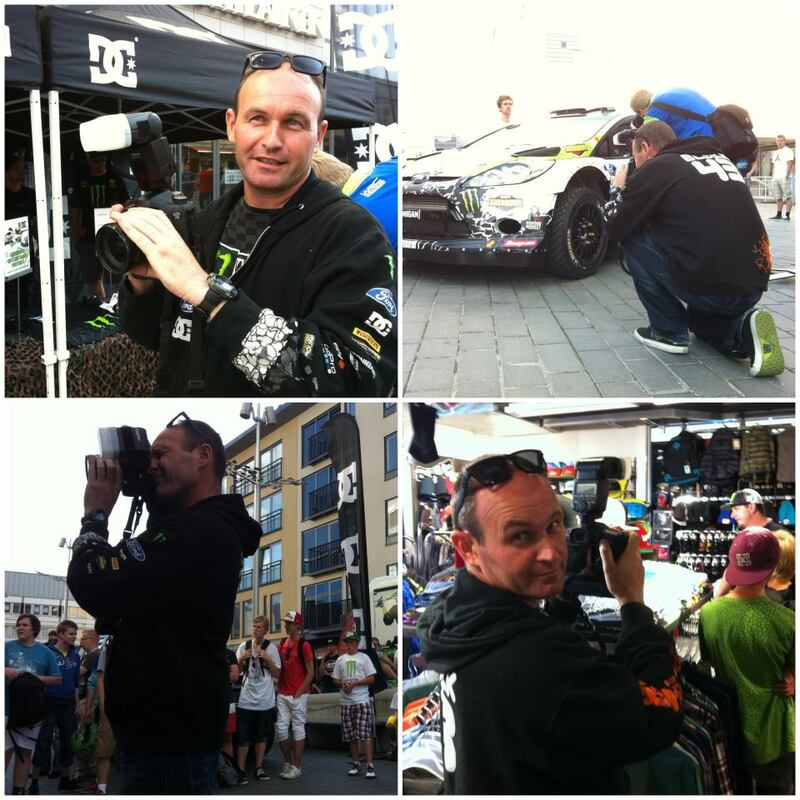 X Games was a fantastic ride for Ken, for the whole team, it was a big effort. There’s Derek Dauncey, the team manager, who does a fantastic job. We have Alex (Gelsomino), who is Ken’s normal co-driver during rallies as Ken’s spotter, because Ken is very much used to his voice. And he spots very well for Ken. He knows Ken, knows the information that Ken wants. It’s a big team effort. 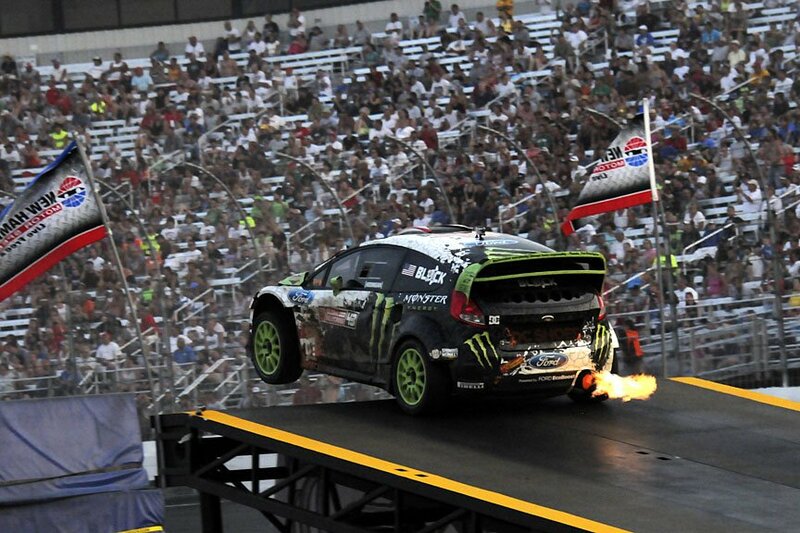 And the X Games was, for sure, the highlight of the year. Coming up next: Davies breaks down the second half of the season, including recovering from Block’s heat incident at New Hampshire and becoming the fastest car on the circuit in the final races.